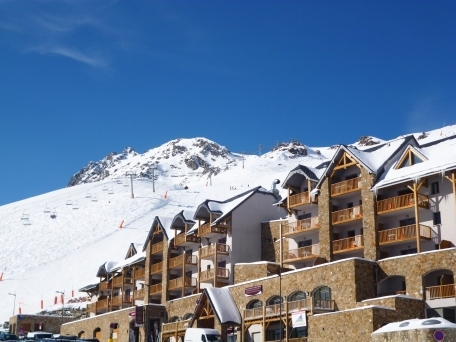 Doorstep skiing to “Grand Tourmalet” the largest ski area of the Pyrenees! 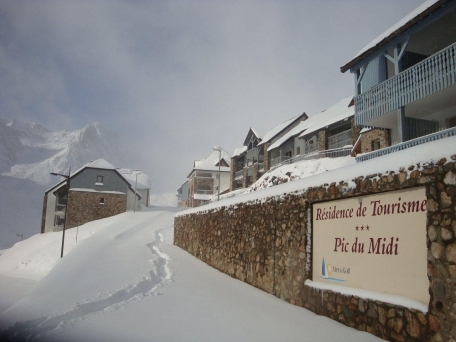 Pic du Midi is a recently modernised ski residence located at 1800m on the road leading up to the Col du Tourmalet pass and directly beside the ski slopes. There is a shuttle bus stop just a 50m walk away that takes you to the slopes and resort centre. 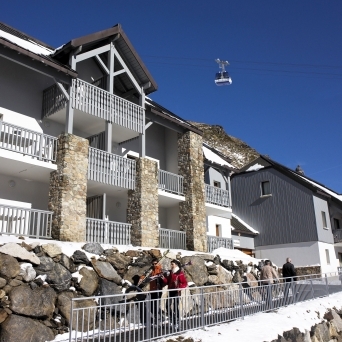 The slopes are just a 300m walk and the resort centre and Pic du Midi cable car are just 500m away. 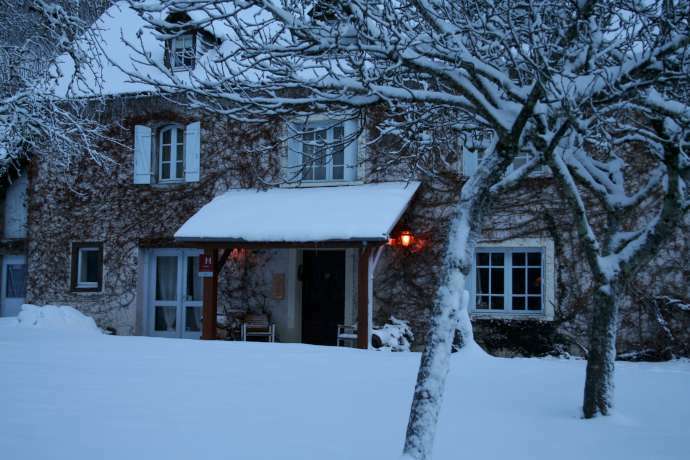 The residence is situated just behind its sister residence “Tourmalet” and faces south towards the Pic du Midi and the slopes of the Grand Tourmalet ski area. The local mini-market and restaurants are just 50m from the residence. The other restaurants and bars are just 200 -500m away whilst the village centre and Pic Du Midi cable car are 500m away. This is all just a 5-10 minute walk, otherwise a free shuttle bus operates between the residence and the resort centre (09:00 - 18:00 daily and until 21:00 during French school holidays). This modern building has been recently renovated and its warm painted wooden exteriors are reminiscent of New England. 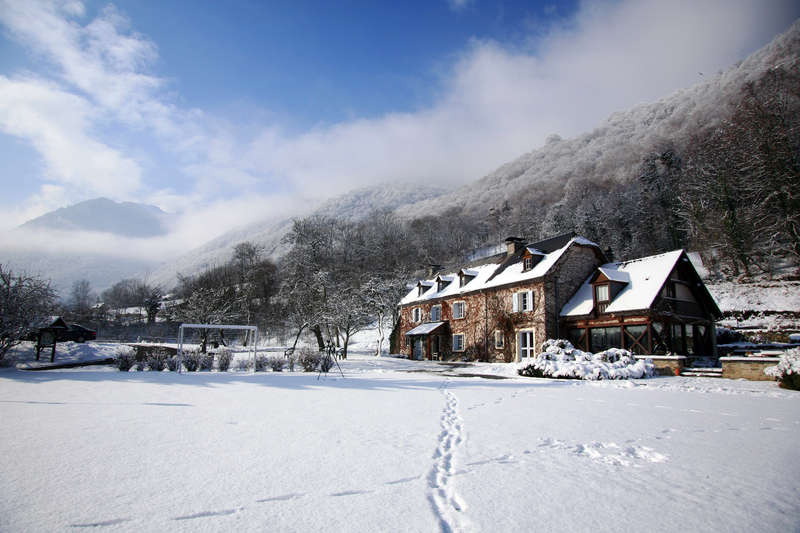 The residence is composed of 10 small buildings and houses a total of 153 self-catering ski apartments. 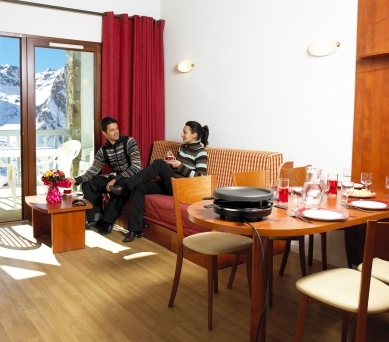 All of the apartments are south facing with a balcony that looks out across the beautiful ski area. The onsite indoor heated pool with its hydro-jet area is a joy after a hard days on the slopes and is open all day long (from 10:00 to 20:00, 17:00 to 20:00 Saturday). Furthermore, the spa area with its sauna and fitness room are accessible at a small charge. During the day and evenings there are activities and entertainment for adults and children and during the Christmas and February school holidays, there is a children’s club. The Children's Club will keep the little ones aged 8 - 12 years old entertained Sunday - Friday afternoons during the French school holidays of Christmas and February (payable, limited spaces, enrolment at Reception). 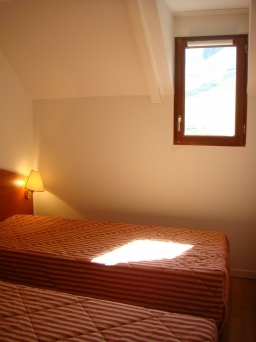 Other facilities at Pic du Midi residence include a free underground parking space (height limit 2.00m) and Wi-Fi internet access at reception and in all apartments (payable), luggage room (free, located near Reception and locked by key). Baby items, electrical gadgets and games can also be rented and loaned (see below). The Breakfast Room offers you a lovely continental breakfast to start your day (payable, to be pre-ordered the day before) and a bakery delivery service can also be arranged with Reception for fresh bread and croissants each day (order the day before). 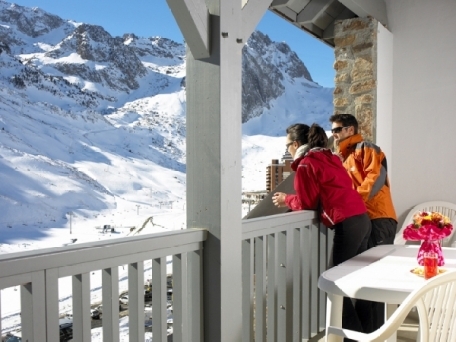 The self-catering ski apartments at Pic du Midi in La Mongie are fitted and furnished to a good standard with everything you need during your stay. The decor is simple, modern and cosy. They all have a fully equipped kitchenette with 4-ring ceramic hob with extractor fan, fridge, microwave-grill, dishwasher, kettle and electric coffee maker, TV and a south-facing furnished terrace or covered balcony. Studio sleeping 2 (ca. 27m2): Open plan living/dining area with double sofa bed, bathroom with WC. Balcony or terrace. Studio Alcove sleeping 4 (ca. 28m2): Open plan living/dining area with double sofa bed, 1 alcove with bunk beds, bathroom & separate WC. Balcony or terrace. 1 Bedroom Apartment sleeping 4 (ca. 32m2): Open plan living/dining area with double sofa bed, 1 double bedroom, bathroom & separate WC. Balcony or terrace. 1 Bedroom Apartment sleeping 4/5 (ca. 32m2): Open plan living/dining area with double sofa bed, 1 double bedroom, extra single bed, bathroom & separate WC. Balcony or terrace. 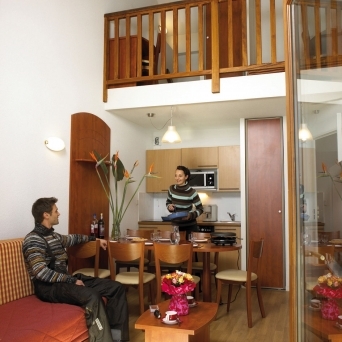 2 Bedroom Duplex Apartment with alcove sleeping 7 (ca. 44m2) Split level. Lower floor: Open plan living/dining with double sofa bed, 1 double bedroom, bathroom & separate WC. Upper floor: 1 twin bedroom, 1 alcove with a single bed, shower room with WC. Please note: for any apartments at Pic du Midi that feature bunk beds, sleeping in the top bunk is not recommended for children under the age of 6 years old. Fully equipped apartment, TV, ski locker, 1 space in private underground parking (height limit 2.00m, 74 spaces), end of stay cleaning (except kitchen area and dishes), bed linen and two bath sets towels for Studio sleeping 2 and 4 bath sets towels from studio sleeping 4 (1 bath towel per person), bath mat, pool access (Sun – Fri:10:00 – 20:00; Sat: 17:00 – 20:00) and children and adult entertainment programme. Extra cleaning kit (mop, sponge, 5 dishwasher tablets, small multi-purpose detergent, small washing up liquid, 1 floor cloth): €6/kit. Extra bath set (1 bath towel & 1 hand towel 1 bath mat per shower/bath room)): €9/pers. Wi-Fi internet access (at reception): €10/week. 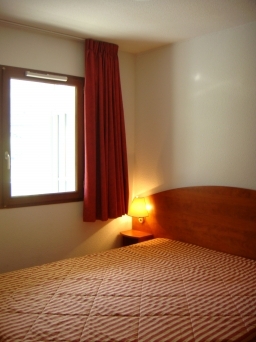 Full Wi-Fi internet access (in apartment: €20/week. 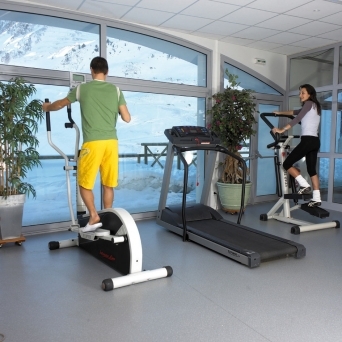 Spa area session: (sauna, fitness room) 16 years and above: €9/session/apartment or €49/week/apartment. Children’s club: During Christmas, New Year and February holidays: Sunday – Friday afternoons: 1 half-day: €5/child, limited spaces, enrolment and payment at reception. Bakery delivery service (pre-order the day before at reception). Pets are allowed and will be charged €40/week (payable locally). A valid passport for your pet is compulsory. The loan of irons, ironing boards, toaster, hairdryer, Raclette & fondue sets and board games is also available and free of charge. (All subject to availability a small refundable deposit may be required). Arrival day at Pic du Midi is Saturday (unless otherwise stated) 17:00 - 20:30 and Departure by 10:00.